If you are planning for some surprises for your loved one this Christmas, there couldn’t be anything more charming than an exotic piece of jewelry. Regardless of how long you have been together, there is always a great feeling in falling in love again and making your partner feel special. For men, it’s actually quite easy, gifting that soulful piece of jewelry and winning her heart over again. When you research closely, jewelry gifts this Christmas can also be bought at quite a reasonable price, such that it fit both her taste and your budgets. If you are planning to get a step further in your relationship, you can make 2014 Christmas, the most memorable vent in both of your lives. These solitaire rings from AG & Sons are available in a variety of designs and metal. Suit yourself to a large collection of white and yellow gold with impeccable diamond work. What can be more deserving to represent your love than a beautiful combination of gold and diamond? These solitaire rings fit every kind of budgets. 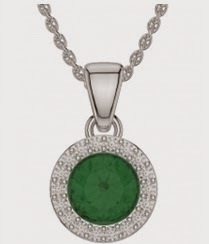 Think about the Christmas evening when you get to add another perfect piece of ornament to your lovely lady wear. A gemstone necklace will certainly brighten up the mood and make this Christmas among the most special moments in your lady’s life. Gemstone necklaces can be acquired in several variants including the exotic sapphires, deep emerald stones, lively ruby and the newly found tanzanite stones. You can never go wrong here! Similarly, you lady will always find some extra inches in her arms to accommodate another diamond bracelet from her lover! The collection at AG & Sons is simply tremendous with each design brilliantly cut and bearing an authentic hallmark. These bracelets have not just been crafted to look beautiful but they are extremely wearable and can last more than light usage! So, you lady gets a chance to show off! Collecting earrings is among the most cherished hobbies of a girl. Many of them would have a cupboard full of it – with different designs, different materials, brought from different places they have visited and so on. However, you can gift the piece she will always passionately treasure! Cluster earrings can be a great gift item this Christmas if you are looking for a budget option. If you are really looking to gift something out of the blue, something that isn’t normally seen, bespoke jewelry solutions from AG & Sons can be a perfect option. The skilled craftsmen with this manufacturer can come up with any design you might have in mind. Alternatively, if you are quite not sure, these artists would love some freedom and create the most astonishing piece you could have imagined. Bespoke jewelry is the best option if you are looking at a budget gift and at the same time trying to be unique. 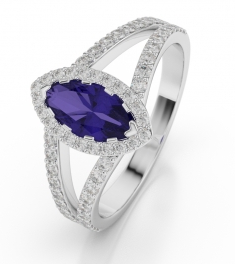 Bespoke solutions can also be established for wedding jewelry, engagement presents and the occasional gifts. All the products from AG & Sons showcase the highest degree of authenticity, durability and looks! Jewelry gifts can always brighten up a girl and this Christmas you certainly would like to see her in high spirits! Well, the options are plenty!